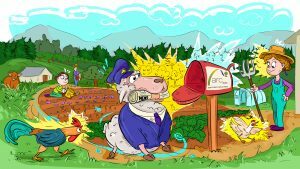 In the first case of its kind in Argentina, the poisoning of people through the use of pesticides will be punished. 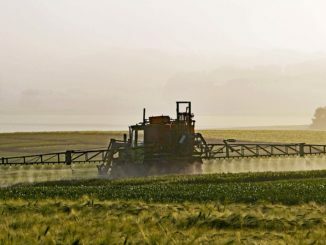 On August 22nd, soya farmer, Francisco Parra, and pilot of pesticide-spraying aircrafts, Edgardo Pancello, were convicted of polluting the neighbourhood of Ituzaingo Anexo with glyphosate and endosulfan. In the Trial Chamber of the Supreme Court of the Province of Córdoba, both were given conditional sentences of three years, along with community service. A third defendant, also a soy producer, was acquitted due lack of evidence. Although hailing the outcome as “an historic victory”, Sofia Gatica, the environmental activist leading this appeal, also stated that “the conditional suspension of the sentence was an insult to the victims”. Gatica is one of a group of Argentinian women – known as the Mothers of Ituzaingó – fighting against the spraying of pesticides by aircraft on agricultural land in suburbs of the provincial capital, Córdoba. Since losing her daughter to kidney failure just three days after she was born, she has meticulously documented illnesses linked to environmental conditions in her neighbourhood. In the soya growing areas in Argentina, more and more people are now complaining about the effects of pesticide use, which reaches 370 million gallons per year. However, to date the government has continued to support chemical and industrial approaches to agriculture. Soya exports to Europe and China are among the top foreign exchange earnings for the country. Its cultivation has been rapidly expanded through the use of Monsanto’s GM soya, which is resistant to the pesticide Roundup. The women first started to worry about the health of the neighbourhood as early as 2001 having noticed the strikingly high incidences of disease, miscarriages and birth defects. Since then, they have fought against the spraying of pesticides, such as Monsanto’s Roundup (glyphosate). The massive public pressure from the Mothers of Ituzaingó resulted in the first court case being opened on June 11th. 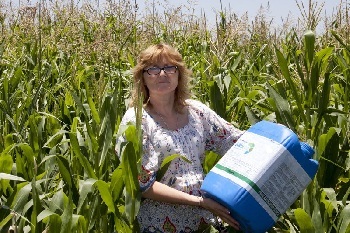 The women are calling for a restriction on the use of agrochemicals. 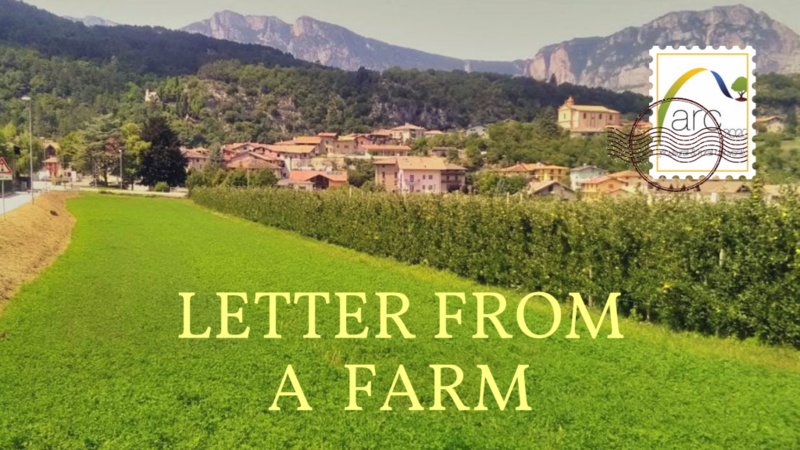 Although supported by physicians, biologists, agricultural scientists, human rights advocates, environmental journalists and citizens, their complaints have been repeatedly rejected by the police and the judiciary in the country. In these most recent proceedings, their accusations have finally been heard. Earlier this year, Sofia Gatica was awarded the ‘Goldman Environmental Prize’ for her courage in the ten-year battle. 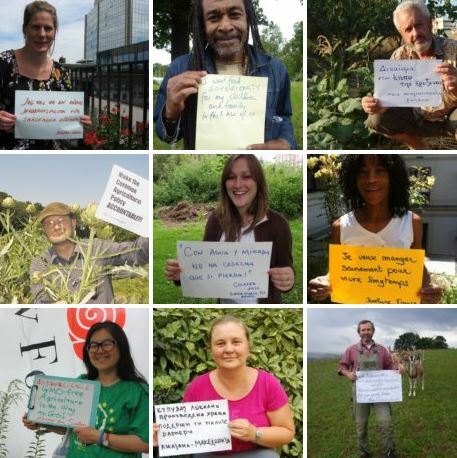 Sofia Gatica and Maria del Milagro Godoy will be talking about their experiences at this year’s GMO Free Europe conference in Brussels, being held on 4th and 5th September. 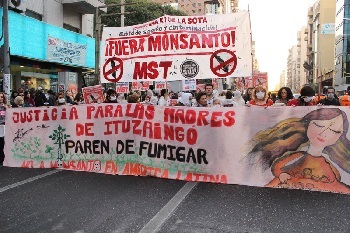 Much of the GM soya which is sprayed with pesticides in Argentina ends up in Europe, mainly as animal feed. The industrial production of cheap meat in European factories relies on the import of millions of tons of GM soya from South America. Following the conference, the Foundation on Future Farming and ARC2020 are planning a two-week Speakers Tour with the two women which will include events and press conferences in different cities across Europe. 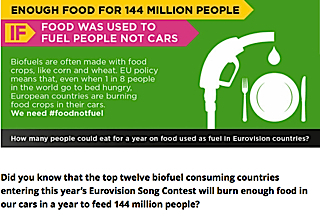 Biofuels to steal Eurovision’s thunder?